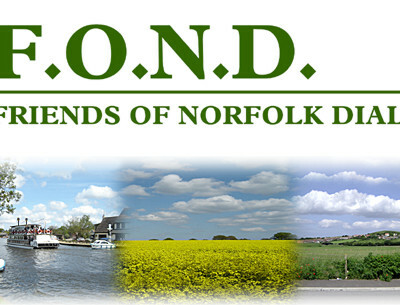 The Friends of Norfolk Dialect (FOND) was founded in 1999 dedicated to conserving and recording Norfolks priceless linguistic and cultural heritage, thus keeping Broad Norfolk alive. 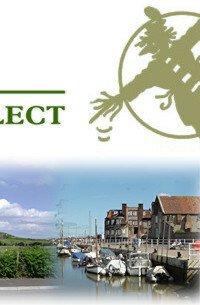 Our aims are to record as many of our countys traditional words as possible, together with sayings, stories and songs. We also continue to campaign for the recognition and teaching of Norfolk as an authentic English regional dialect. We assist film and TV Producers to achieve the correct accent in drama productions set in Norfolk. We exchange ideas and information by any means we can employ, including the Internet and information packs for schools. 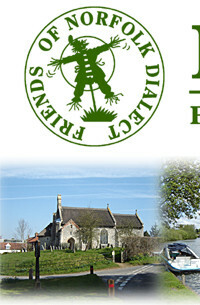 The Friends of Norfolk Dialect seeks the help of other organisations and experts in building up an archive of literature and sound recordings. Several times a year we organise social and fundraising Dews in all parts of the county, culminating in an ever-popular seasonal Panto  in dialect, naturally! We also publish a quarterly newsletter called The Merry Mawkin, which is free to members, although available by post for non-members. DEW YEW WANT ANY HELP? PRONUNCIATION  We are very lucky to have Professor Peter Trudgill as our President and, as an expert in languages, he can advise on derivation of words and pronunciation. Committee members are also happy to advise and help. Please remember the Norfolk dialect is nothing like Mummerset! SCHOOLS  We want to encourage youngsters to keep the dialect alive. We have launched a Junior Trosher Competition for all school ages. We are happy to help teachers and well come into school if required. TALKS If you have a group that would like to hear about the dialect, we have members who will give light-hearted talks. EVENTS  We have displays and sales stock. If you are organising an event, preferably indoors, we are willing to attend events around the county. Lost in Translation is an addition to our site highlighting the exciting Norfolk Schools Dialect Project. 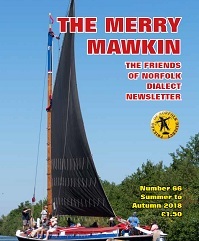 The resulting pages are a culmination of the efforts of the members of FOND (Friends of Norfolk Dialect), The Professional Development Centre and the participation and enthusiasm of nine local Norfolk Schools and their pupils. Our aim is to continue this cultural development with more schools and organisations, by supporting them  and our existing participants  in the continuation of the preservation of Norfolks rich dialect and cultural heritage.  as Id love to hear from yew, tergether!